A message that will change the world…. intrigued. The black cover with three red streaks containing the survivors slashed down the front, almost haunting, I would compare it to some of the Stephen King books that my mum reads. 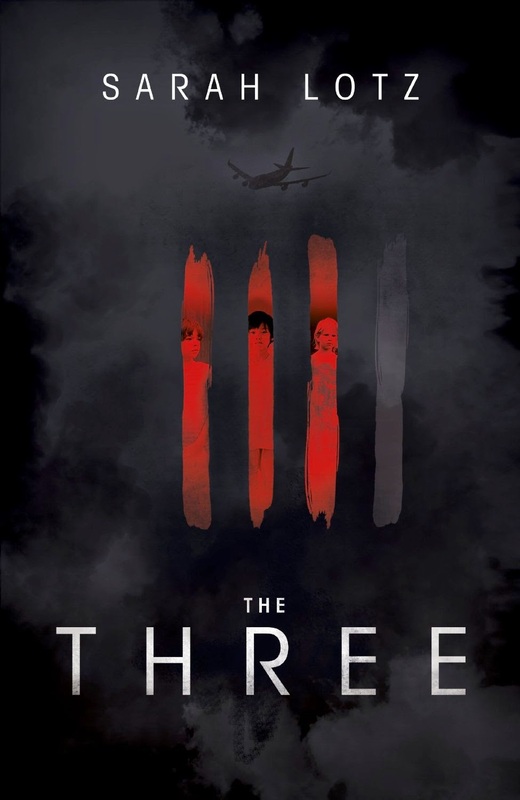 The story itself revolves around one day, Black Thursday, the day that four passenger planes crashed at almost the same moment in time, at four different locations around the world. "They're here… The boy. The boy watch the boy watch the dead people oh Lordy there's so many… They're coming for me now. We're all going soon. All of us. Pastor Len warn them that the boy he's not to……"
This message could potentially change the world. The book itself is very cleverly written, it is a book within a book, a non fiction report told through transcripts, witness statements, online forum conspiracies, new stories, all bought together to build a bigger picture of what really happened and why. Just have a look at the books trailer, it has a very eerie feel to it. The concept itself is original and the narrative really gets you thinking, it builds slowly, allowing you to piece certain things together, what happened to those children, why/how did they survive? It had me wondering just what would we do if this kind of event was to become a reality as there was certain element of "realness" to the story and this made the book seem quite frightening. However for me personally, I felt that the ending let the book down, I'm not sure if it is because I need to re read it to truly understand it all but I felt that the story kind of fizzled out, I was left more confused than when I started the book, there was no real resolve but I suppose it may have been left more open so that we as the reader can draw our own conclusions from the intense events that occur throughout the story. Overall a well written book, I cannot criticise Sarah's writing skills, the way she manages to flit from the dialect of English, to American to South African is really rather impressive. I just wish there had been more of a story mixed in with all of the research. The Three is due to be released on the 22nd of May which you can preorder from amazon now but in the meantime you can try and win yourself a copy by simply filling out the rafflecopter form below. This giveaway is open to UK residents only and will close at 11.59pm on the 1st June 2014. Make sure to enter correctly as all entries will be check and verified. Good luck everyone. Disclaimer : I was sent a copy of this book for free for reviewing purposes however all thoughts and opinions are my own. I am most scared of wasps! I was stung on my eyelid when I was little and ever since I have really been afraid of them! Don't laugh... the thing I'm most scared of is slugs. I used to live in an old house where they would get into my bedroom in the night and I'd wake up surrounded in slug trail... then one day I woke up and there was a massive one right next to my bed. I'd moved out within a month! I'm scared of the dark, but it's quite logical really to be scared when one of your senses is useless, plus, I walk into things and it hurts! Wasps - I run a mile. Also snakes but fortunately I don't come into contact with them! This sounds like a spectacular story, so thank you for the giveaway! I am most scared of Spiders - it is not only their size but also how fast they run. Debt. That is why I have started comping in the hope I will win something to save me money or something I can give as a present. not the dark in general but pitch dark yes! bees and wasps; which is odd considering i love spiders ect. i think it comes from being stung quite often when i was young. Losing the people I care about most in the world!